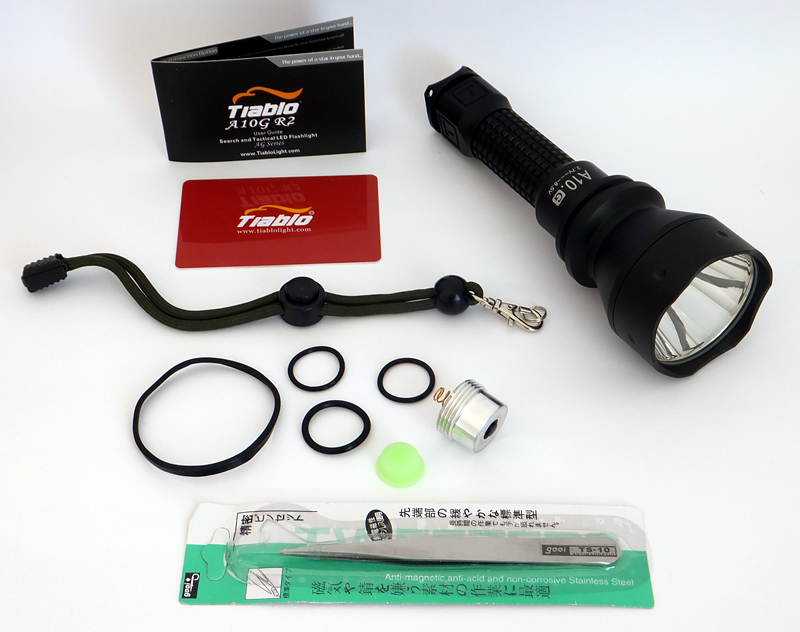 with Tactical Switch, Multifunction Switch, Lanyard, Spare O-Rings and Glow in Dark rubber button, packaged in the Tiablo Gift Box. Function: multifunction circuit with advanced mini computer chip, which can be setup to meet a variety requirements. 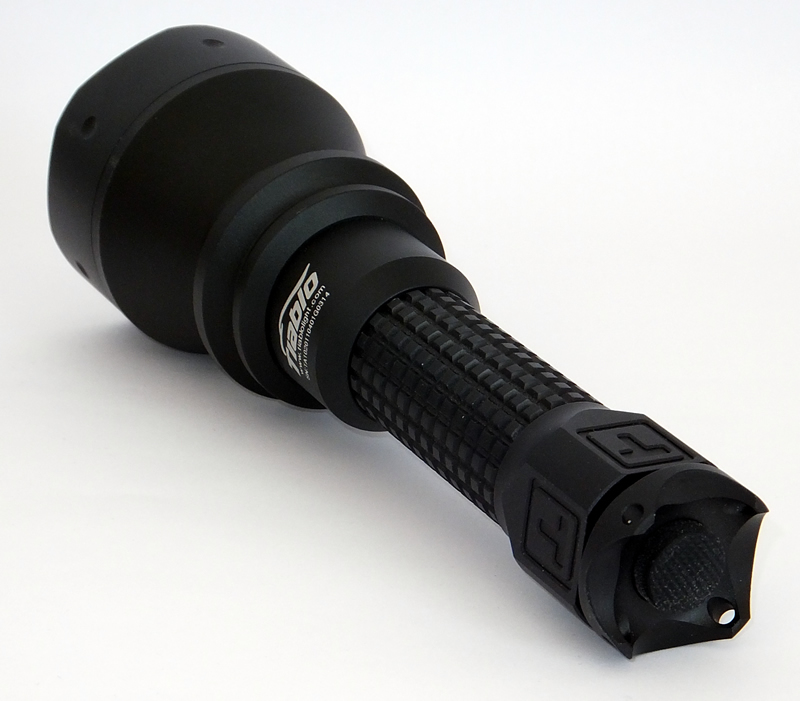 Special purpose flashlight for hunting, tactical, search and rescue. Unique body designs with for comfortable grip and gun mountable. Brass copper pipe inserted into the body. 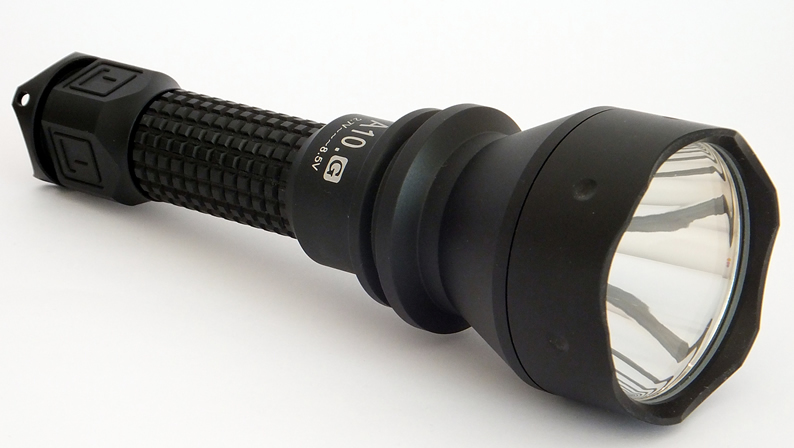 Can be used as candle to illuminate 30m sq, approximately 300 square foot area, similar to a 25W daylight lamp. Military grade Type-III hard anodize aerospace grade T7075 aluminum construction for long life and endurance. Variable Brightness System suitable for various distance lighting requirements. 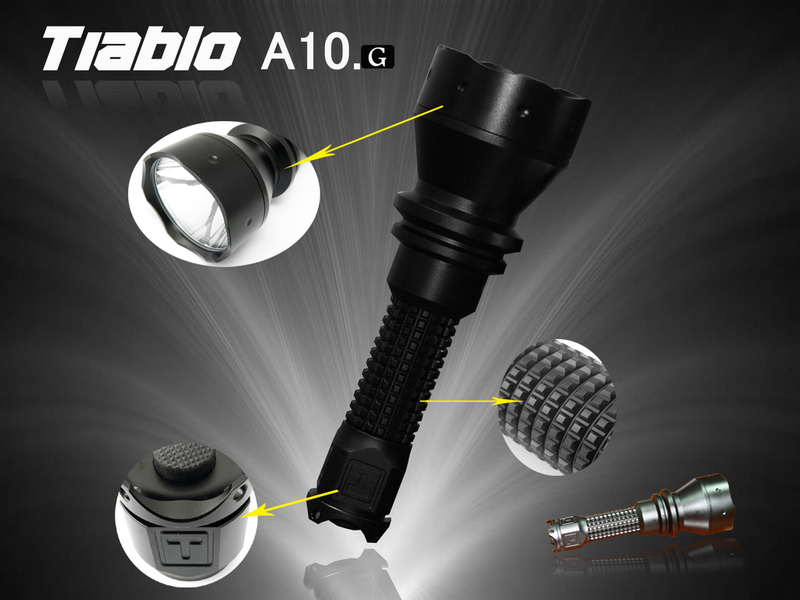 Designed for programmable multifunction use and brightness adjustment. 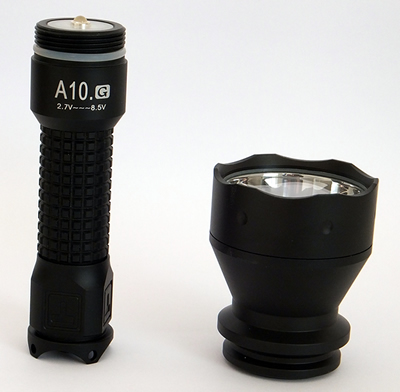 User-defined and multifunction brightness adjustment.